Preheat oven to 175 degrees C. Line a muffin pan with paper or foil liners. Sift together the flour, baking powder, baking soda. In a large bowl, cream together the eggs and sugar until its light and fluffy. Add the oil, and then stir in the vanilla. Add the flour mixture alternately with curd and beat well. Fill the muffin cups 3/4 full. Bake for 15-17 minutes in the preheated oven, or until a toothpick inserted into the cake comes out clean. Take the whipping cream in a bowl and using an electric mixer, whip till soft peaks are formed. Add icing sugar and whip agan till firm peaks are formed. Fold in the blackcurrant lightly. 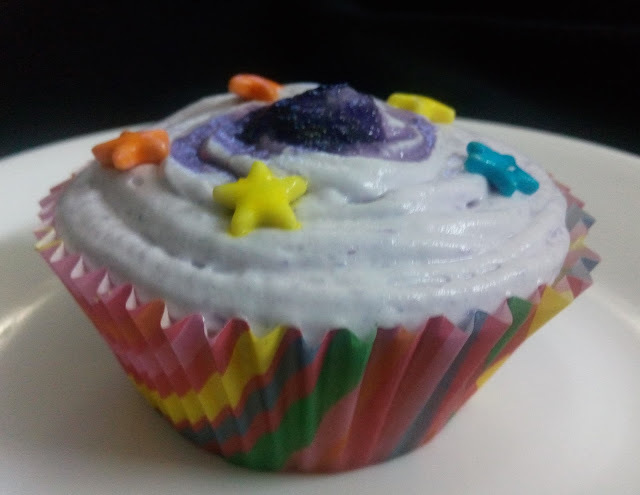 Fill in the piping bag with the nozzle of your choice and frost the cupcakes. 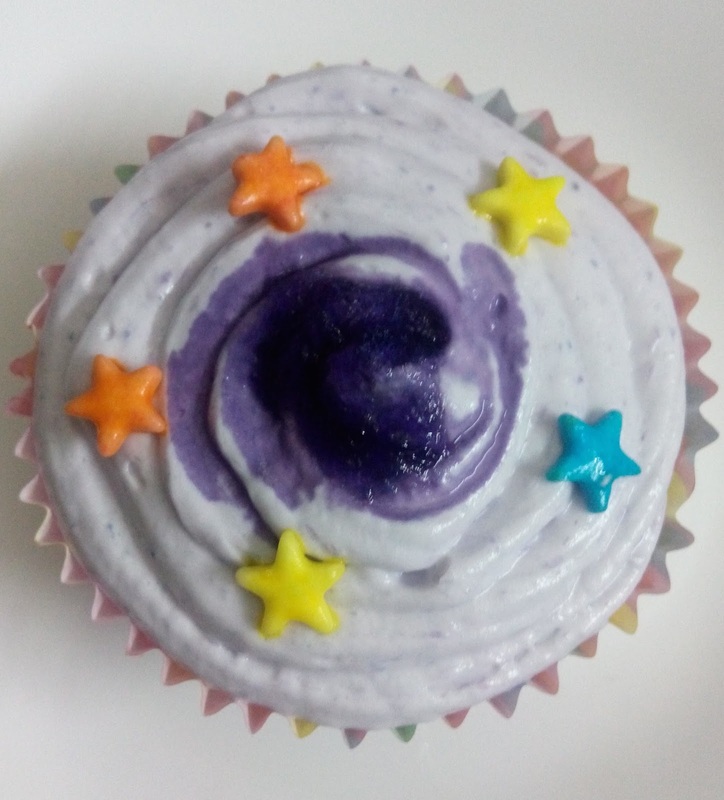 Decorate with a drop of blackcurrant crush on the top and some coloured stars. Take the whipping cream in a bowl and using an electric mixer, whip till soft peaks are formed. Add icing sugar and whip agan till firm peaks are formed. Fold in the kiwi crush lightly. 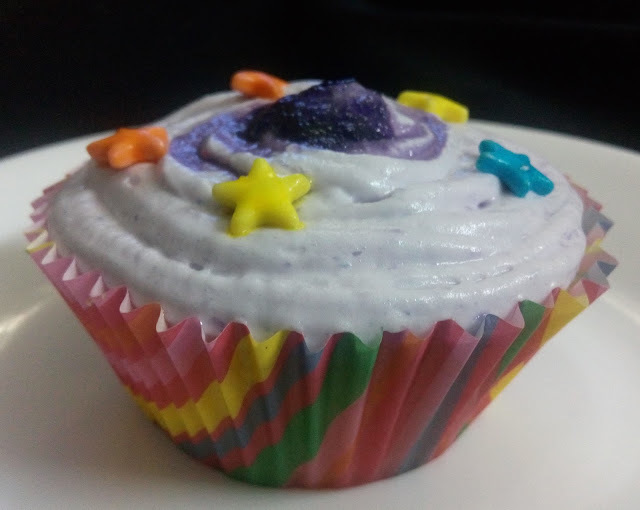 Fill in the piping bag with the nozzle of your choice and frost the cupcakes. 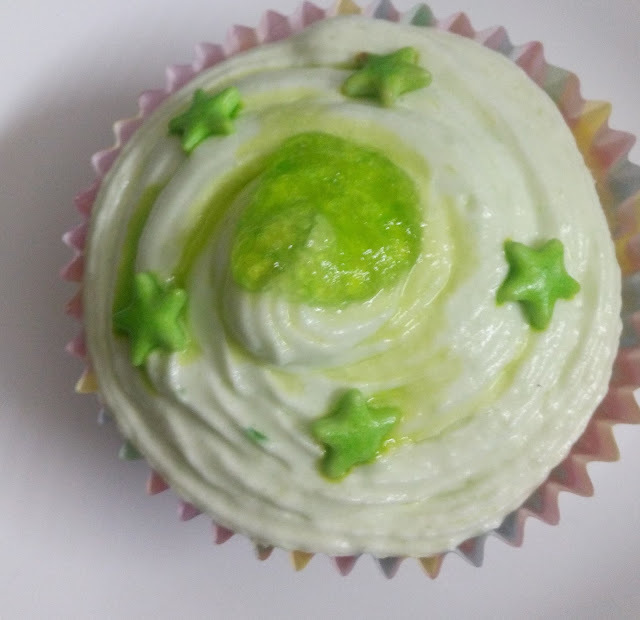 Decorate with a drop of kiwi crush on the top and some coloured stars. A simply delicious and finger looking good cake especially for chocolate lovers, its filled with caramel crunch and topped with chocolate ganache and white chocolate dribble. You just cannot ignore it..!! · Sieve together the flour, cocoa powder, baking powder and baking soda. 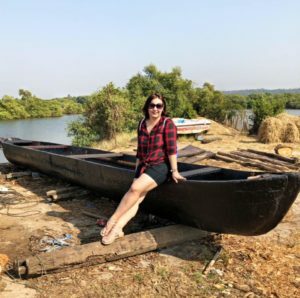 · In another bowl, add sugar and eggs and beat them till pale in colour and fluffy. · Add oil to this mixture followed by vanilla essence, beat a little more. 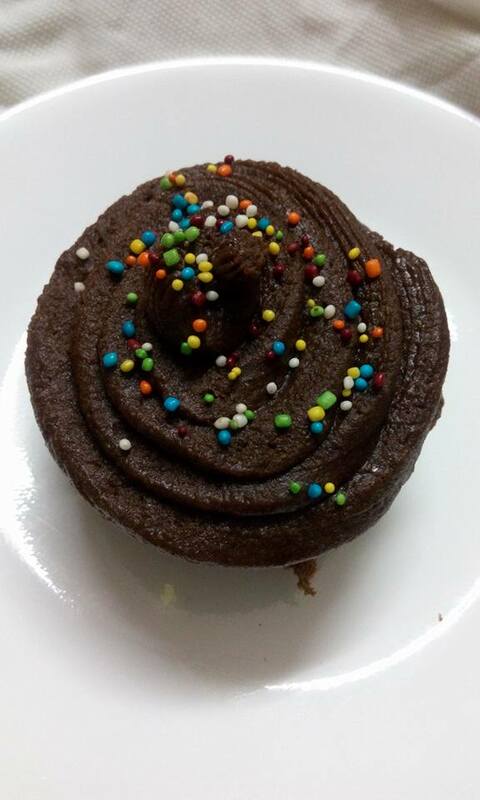 · Now gently fold in the flour and cocoa cake mix in this batter. 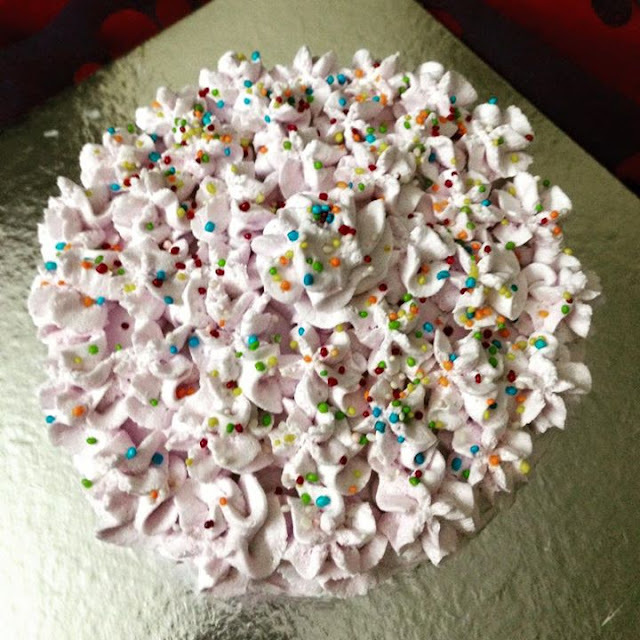 · Line a 10 inch cake tin with baking sheet and pour the mixture into it, spread it out evenly using a spatula and then tap it against the stand to release any air bubbles. 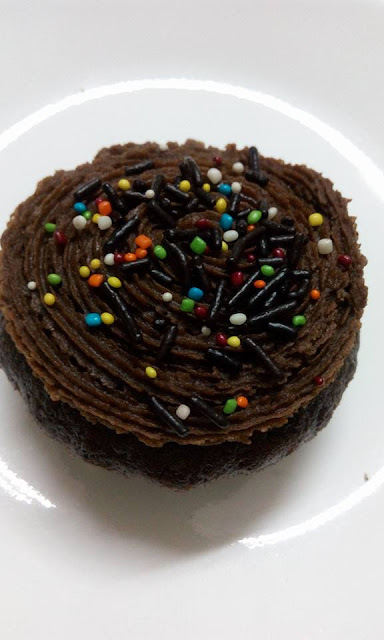 · Bake for 30-35 minutes at 170 degrees C or till the toothpick inserted comes out clean. 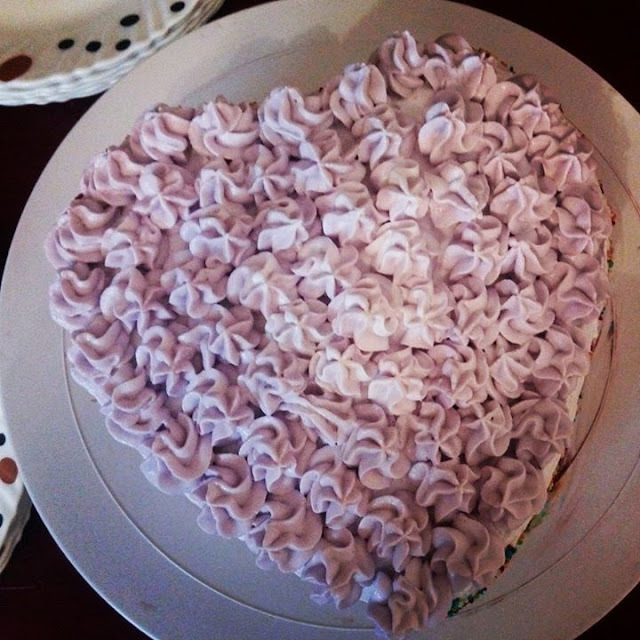 · After the cake is done, let it cool for sometime, then remove and let it completely cool on a wire rack. · Add sugar in a pan, and on a medium heat melt to caramelize it. 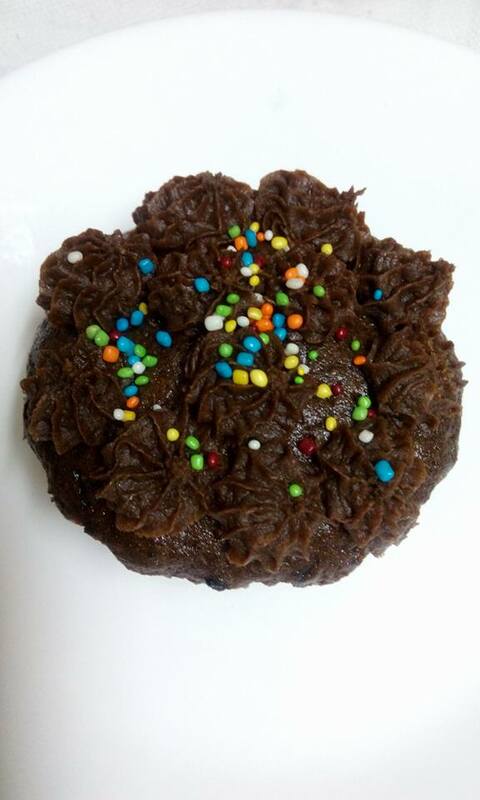 · Remove it from heat when the sugar is all melted and you see a dark brown colour, but more not to burn the sugar. · Take a piece of foil paper or parchment sheet, grease it and pour the caramelized sugar over it. · Let it cool to harden. 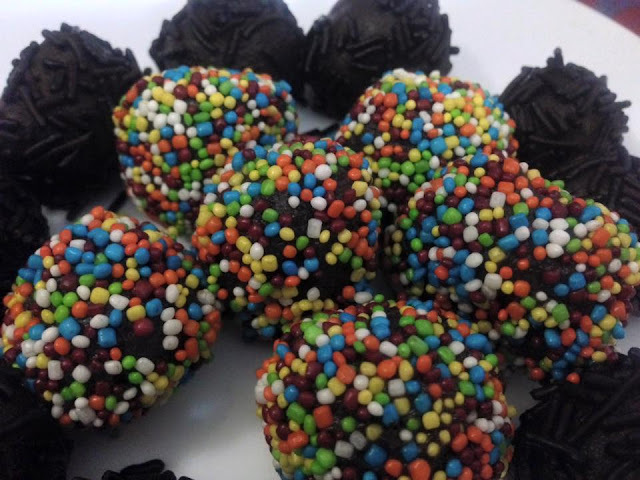 • Using a double boiler or microwave, melt the dark chocolate. • In a pan, take 200 ml fresh cream and bring it to a boil. • Add this cream in the melted chocolate and keep folding till it becomes a thick dropping consistency mixture. • Let it cool a bit. · Transfer the cooled cake to a turntable and cut in two equal parts from the centre. 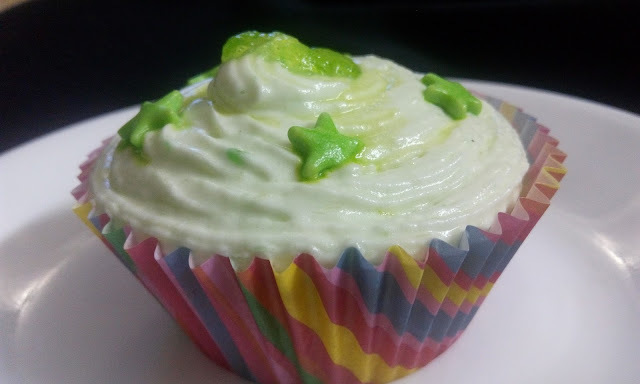 · Moist the cake with sprinkling some water on it. · Now spread the strawberries crush on the bottom half of the cake, then generously spread dark chocolate ganache on it and sprinkle raisins and the crushed caramelized sugar all over it. 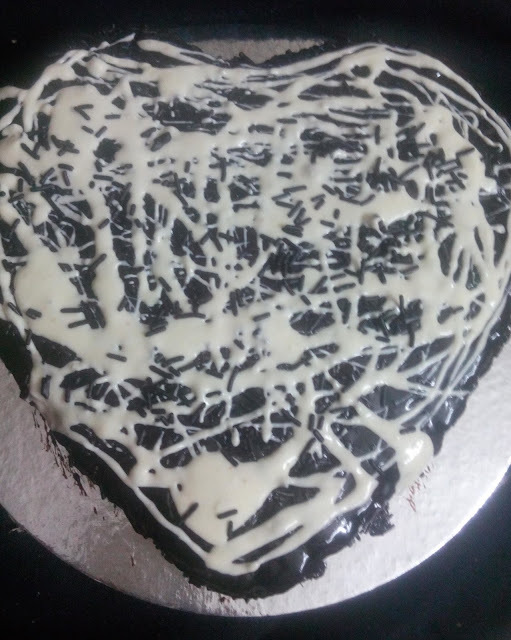 · Keep the top layer on cake and moist it once again with water, now cover the layer generously with chocolate ganache covering the sides as well. · Melt the white chocolate and dribble all over the cake…feel free to garnish with some chocolate sprinklers.. So here is a recipe that speaks volumes about integrating cuisines and tastes and it comes out as a perfect fusion. 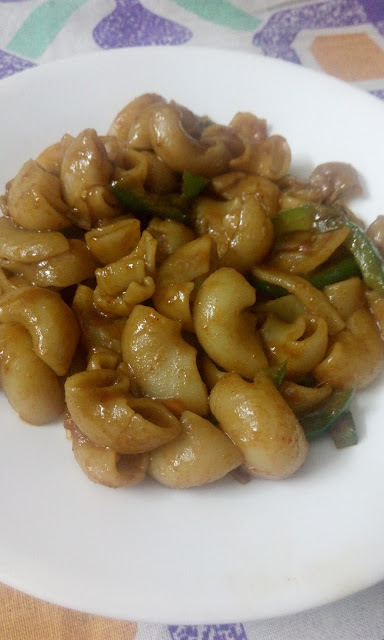 An Italian Pasta with Chinese flavours. Onions, Carrots , Baby Corns can also be used as per taste and choice. Boil the macaroni in water till the time its done. Drain the water and wash the macaroni under cold water in order to reduce starch. Add some old to avoid stickiness and keep this aside. In a wok, take oil and saute the ginger and garlic paste. Then add the vegetables and saute some more. Add vinegar, soya sauce and chilly sauce to the vegetables. Mix gently. Now add the macaroni and mix in the prepared sauce. Add ajino moto and salt to taste. Toss is for a couple of minutes. Serve hot. In a blender, blend the cracker biscuits till you get a fine crumb. Add melted butter to the crumbs. Line a ring base with this crumb mixture and refrigerate it for half an hour. Till the time the biscuits get set, in a bowl take the whipping cream and whip for 5 minutes. To this whipping cream add softened cream cheese and icing sugar and beat a little more. In a small bowl, dissolve gelatine powder with hot water and add to the cream. Whip till firm peaks are formed. Spread this cream on top of your biscuit mixture and let it set in fridge for 4-5 hours. 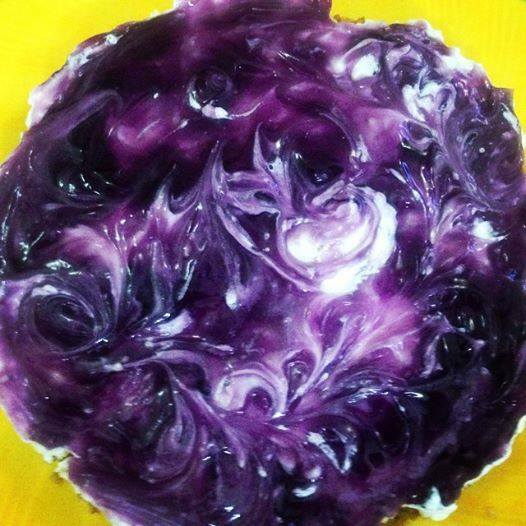 After 5 hours, spread blueberry crush on top of the cream and refrigerate again for 4-5 hours, overnight works best. After it sets, remove the ring and serve your yummy blueberry cheese cake. Sieve together the flour, baking powder and baking soda. In another bowl, add sugar and eggs and beat them lightly. Add oil to this mixture. Now add the dry ingredients to this wet mixture, put curd and vanilla essence, mix nicely. Grease the cake tin and pour the mixture into it. Bake for 30-35 minutes at 170 degrees C or till the toothpick inserted comes out clean. In a large bowl, whip the cream until soft peaks are formed. Add icing sugar and whip some more. Then add the blueberry crush and whip till firm peaks are formed. Transfer the cooled cake to a turn table, cut it in half from the centre. Moist the cake with sprinkling some water on it. Gently spread the blueberry icing over it and cover the cake with top piece. Spread the remaining cream on the top of the cake and fully cover it. Add some cream to a piping bag and decorate your cake as desired. Sift together the flour, baking powder, baking soda, cocoa powder and salt. In a large bowl, cream together the butter and sugar until its light and fluffy. Add the eggs, beating it will and then stir in the vanilla. Add the flour mixture alternately with milk and beat well. Fill the muffin cups 3/4 full. Bake for 15-17 minutes in the preheated oven, or until a toothpick inserted into the cake comes out clean. In a large bowl, beat butter until creamy, add icing sugar, cocoa powder and vanilla essence. Add milk slowly and keep beating until desired consistency is achieved. Add this icing in piping bag and decorate your cupcakes as desired. Break the chocolate into small pieces and melt it on a double boiler and let it cool a little. In a separate pan, add the cream and bring it to a boil. Add the cream to melted chocolate and fold nicely, till it is completely absorbed in the chocolate. Let it cool and then refrigerate it for an hour or two, till the mixture is firm enough. Take small scoop of the mixture in hand and roll it into small balls. After you place the balls on a tray, let them refrigerate again for about half an hour. 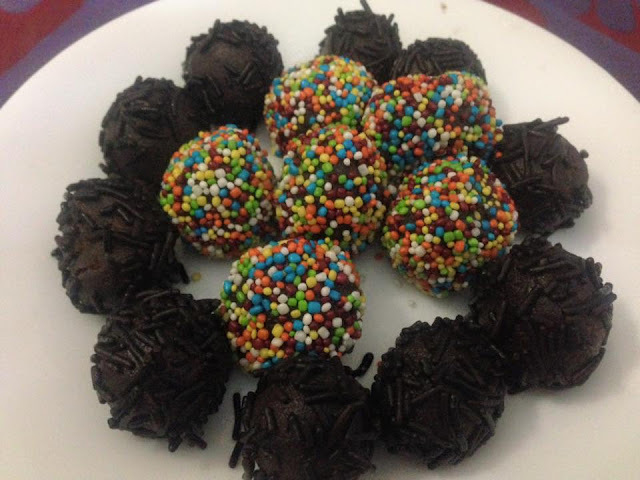 Take out the cooled balls from fridge and roll these balls in your choice of topping, you may use chocolate sprinklers, coloured balls, cocoa powder etc. Take the whipping cream in a bowl and using an electric mixer, whip till soft peaks are formed. 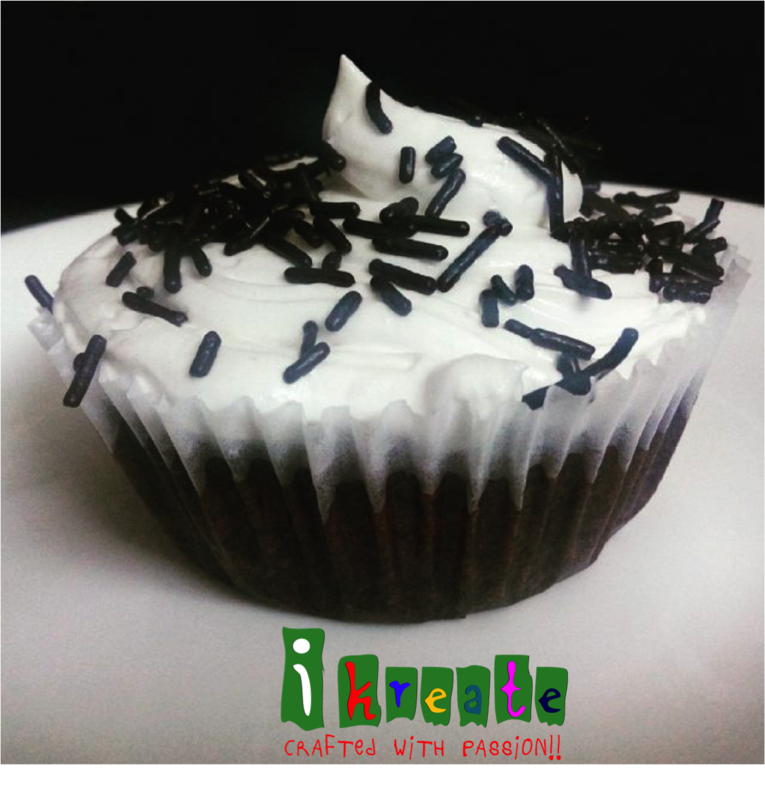 Add icing sugar and whip agan till firm peaks are formed. 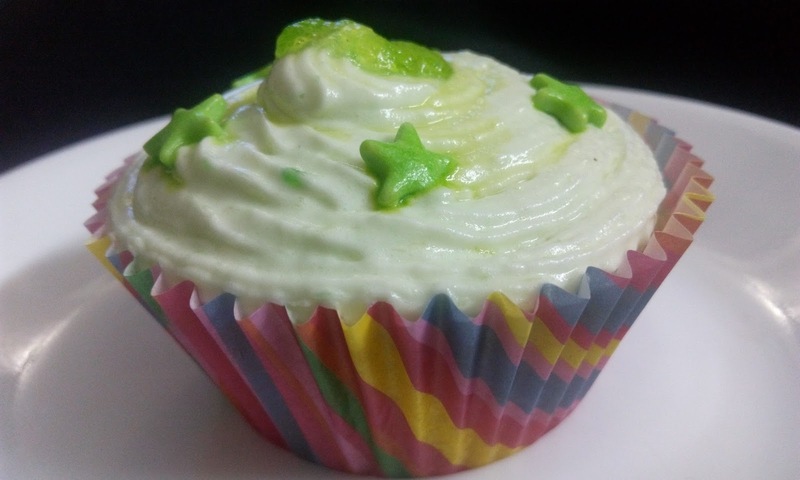 Fill in the piping bag with the nozzle of your choice and frost the cupcakes.